WHAT EXACTLY DOES A REALTOR DO FOR YOU? There are at least 184 things that listing agents do in every real estate transaction. Most buyers and sellers are not aware of all the services that agents provide during the course of the transaction, because most of the important services are performed behind the scenes. 1. Make the appointment with the seller for listing presentation. 3. Review meeting all the questions at the meeting. 4. Research all comparable properties listed currently. 6. Study average days on the market for properties similar in type, price, and location. 7. Obtain and review the property tax roll information. 8. Provide “comparable market analysis” (CMA) to authenticate market value. 9. Get a copy of subdivision plat/compound layout. 10. Inquire property’s ownership and deed type. 11. Provide property’s public record information for lot size and dimensions. 13. Find property’s land use coding and deed restrictions. 14. Find property’s current use and zoning. 15. Check legal names of owner(s) in county’s public property records. 17. Do exterior “Curb Appeal Assessment” of the subject property. 18. Gather and compile the formal file on the property. 19. Validate prevailing public schools and tell their influence on market value. 21. Explain the seller a nature of the current market health and predictions. 22. Analyze Real Estate Agent and brokerage credentials and completion. 23. Communicate company’s profile and position or niche in the marketplace. 24. Present market analysis findings with comparables: sold, expired and currently on the market. 25. Offer, expert pricing approach, based on current market circumstances. 26. Provide information how to market effectively. 27. Explain market influence and benefits of using MLS. 28. Explain market power of Web marketing, syndication sites like REALTOR.com and IDX. 29. Tell the work the Realtors do behind the scenes and availability on weekends. 31. Show and explain strategic master marketing plan. 32. Describe different agency relationships and determine seller’s preference. 35. Include overall and heated square footage. 37. Confirm lot size via survey, if prepared. 38. See any and all unrecorded property lines, easements, agreements. 40. View house plans, make copies. 41. Order and review plat map. 42. Discuss showing times with seller and showing instructions for buyers’ agents. 43. Obtain current mortgage loan statements. 44. Verify current mortgage information. 45. Check assignability of mortgage(s) and any specific requirements if any. 46. Discuss if sellers would be interested offering financing to buyers and any possible alternatives. 47. Review the appraisal report if available. 48. Gather contact information for Home Owner Association manager if there is an HOA. 49. 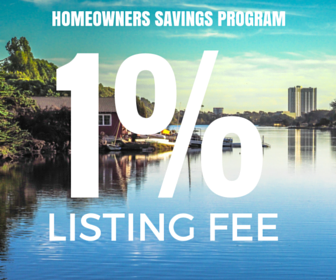 Verify Home Owner Association monthly fees and any other additional fees if applicable. 50. Order copy of Home Owner Association bylaws, CC&Rs, Insurance and related documents if relevant. 51. Compile the list of public utility providers. 52. Estimate typical utility usage from last 12 months of statements. 54. Calculate average water fees or rates from past 12 months of statements. 55. Alternatively, affirm well status, depth and yield from Well Inspection Report. 56. Research and verify natural gas availability, supplier’s name, and phone number. 57. Check security system, the term of service and whether owned or leased. 58. Confirm if the seller has transferable Termite Bond. 60. Provide a detailed list of property amenities and assess market impact. 62. A complete list of performed repairs and maintenance items. 63. Send “Vacancy Checklist” to the seller if the property is vacant. 64. Explain benefits of Home Owner Warranty to the seller. 66. When received, put Home Owner Warranty in property file for conveyance at the time of sale. 67. Have extra key made for the lockbox. 71. Notify tenants of listing and discuss how showings will be worked. 72. Provide for yard sign installation. 73. Help seller with the completion of Seller’s Disclosure form. 75. Review results of Curb Appeal Assessment with the seller and suggest improvements for the higher price. 76. Review effects of Interior Decor Assessment and suggest changes shorten time on the market. 78. Prepare MLS Profile Sheet with accurate listing data. 80. Proofread the listing for accuracy, including property placement in mapping function. 81. 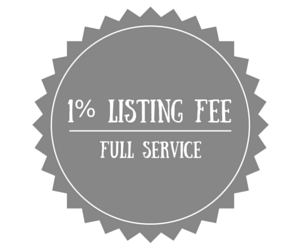 Include the property to brokerage's Current Listings. 82. Give seller with signed copies of Listing Agreement and MLS printout. 84. Design print and web ads with homeowner's input. 85. Schedule showings with homeowner's, occupants and buyers' agents. Return all calls including weekends and sometimes after hours. 86. Place supra lockbox. Program it with showing time windows. 88. Create mail merge letters to contact list. 89. Custom order Just Listed labels and reports. 90. Make flyers and feedback forms. 91. Review competing for listings regularly to ensure listing remains competitive in terms, price, conditions, and availability. 93. Order for printing or copying marketing brochures or flyers. 94. Place marketing brochures in a box on the yard sign. 95. Create property specific web page. 96. Promote “Just Listed” notice to all neighborhood residents. 97. Market the home through social media. 98. Provide marketing data to buyers from various networks. 99. Supply marketing data to buyers coming from referral network. 100. Produce “Special Feature” cards for marketing. 101. Submit ads to web real estate sites. 102. Communicate changes in price quickly to all Internet groups. 103. Reprint advertisements as soon as needed. 104. Evaluate and update loan information in MLS. 105. Send feedback e-mails or texts to buyers’ agents after showings. 106. Study weekly Market Study. 107. Communicate feedback from agents with seller to determine if changes will accelerate the sale. 110. Obtain and evaluate all purchase offer contracts submitted by buyers or buyers’ agents. 111. Evaluate offer(s) and prepare “net sheet” on each for the homeowner to compare. 112. Advice seller on offers. Describe strengths and weakness of each part of each offer. 113. Contact buyers’ agents to review buyer’s qualifications and discuss the purchase offer. 114. Email and deliver Seller’s Disclosure to buyer’s agent or buyer upon request and before receiving an offer. 115. Confirm buyer is pre-approved by asking loan officer. 116. Obtain pre-approval letter from a lender. 117. Negotiating all purchase offers on behalf of the seller’s, establishing time limit for contingencies and date of closing. 118. Prepare and communicate any counteroffers, acceptance or amendments to buyer’s agent. 119. Email copies of the purchase contract and all addendums to the title company or closing attorney. 120. When Purchase Offer is accepted and signed by the home seller, present it to buyer’s agent. 121. Register and immediately deposit buyer’s money into an escrow account. 122. Distribute “Pending Showing Restrictions” as homeowner requests. 123. Deliver copies of fully executed ratified purchase contract to sellers. 124. Email and present copies of ratified purchase contract selling real estate agent. 125. Email copies of the signed purchase contract to the lender. 126. Provide copies of ratified contract for brokerage office record. 127. Guide seller in managing further offers to purchase presented between previous commitment and closing. 130. Analyze buyer’s credit report. Counsel seller of worst and best case situations. 131. Give credit report information to seller if the seller is providing financing to the buyer. 132. Help buyer with obtaining the mortgage and follow up as needed. 133. Correspond with the lender on interest rate being locked in with dates. 134. Give unrecorded property report to the buyer. 135. Order any inspection as required. 136. Obtain and analyze septic system report and access any influence on sale. 138. Give well flow test report copies to lender, buyer and listing file. 139. Check to see if termite inspection ordered. 141. Confirm verifying of deposit and buyer’s employment. 142. Track loan processing through to the lender. 143. Add lender and vendors to transaction management application so all parties involved can monitor progress. 144. Touch base with lender weekly to secure processing is on track. 145. Relay final approval of buyer’s loan application to the seller. 146. Communicate buyer’s home inspection report with the seller. 147. Examine home inspection report. 148. Enter completion into the transaction management software program. 149. Explain seller’s responsibilities of loan limits and explain any clauses in the contract. 151. Help seller with identifying and arranging with reliable contractors for required repairs. 153. Schedule appraiser for inspection. 154. Render comparable sales used in market pricing to appraiser. 157. Help seller in questioning appraisal report if it seems unreasonable valuation. 158. Make sure all parties correctly signed the contract. 159. Coordinate with buyer’s agent and lender for closing process. 160. Update all forms and records. 161. Ensure both buyers and seller have all the information and forms required to close the sale. 162. Schedule for signing final documents. 163. Affirm closing date and time and advise all parties. 164. Solve any problems related to the title (disputes for property lines, easements, etc. 165. Manage with buyer’s agent in scheduling and attending buyer’s final walkthrough before closing escrow. 166. Make sure all tax, HOA, utility and other applicable prorations are made properly and correctly. 167. Demand final closing figures from closing agent. 168. Obtain and thoroughly review closing numbers to secure accuracy. 169. Communicate final closing totals to buyer’s agent. 170. Demand copy of closing documents from closing agent. 171. Verify the homebuyer received owners commitment for title insurance. 172. Present Home Owners Warranty if offered. 173. Review all closing documents thoroughly for mistakes. 174. Arrange closing documents be signed by the absentee seller as requested. 175. Review all documents with the closing agent. 176. Transfer earnest money deposit from trust account to escrow account. 177. Navigate closing with seller’s timeline of their next purchase. 178. 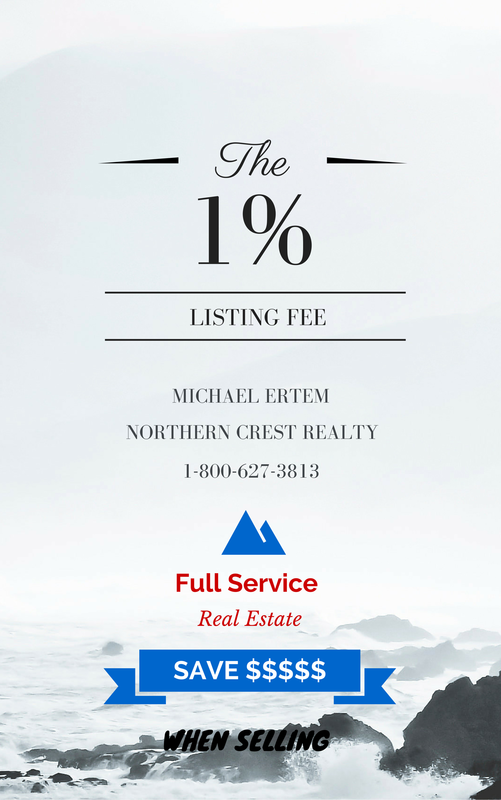 Must have a no surprises closing and seller(s) receive net proceeds check or wire at closing. 179. Refer your sellers to one of the best agents at their new destination. 180. Edit MLS status to Sold status by entering the date of the sale, purchase price, selling broker and agent’s ID numbers, etc. 182. Response to questions about filing claims with Home Owner Warranty company, if requested. 183. Attempt to explain and resolve any repair conflicts if the buyer is dissatisfied. 184. Reply to any follow-up calls and furnish any additional information needed from agency files.